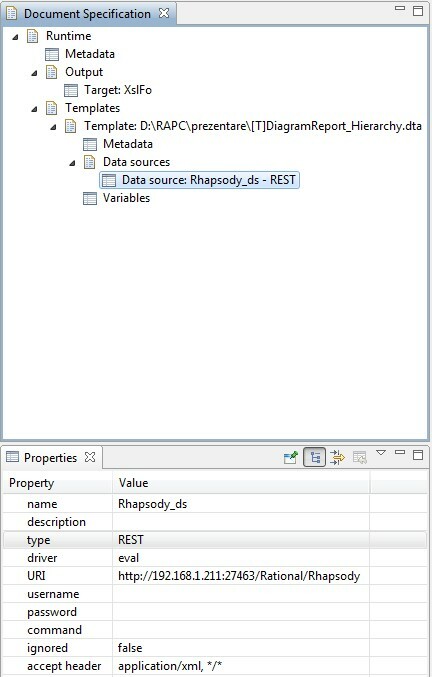 Within this example, data from a Rhapsody project shall be extracted thru RPE into the XslFo output, and then, the data shall be converted into Power Point format, with the help of the PowerPoint Converter tool. 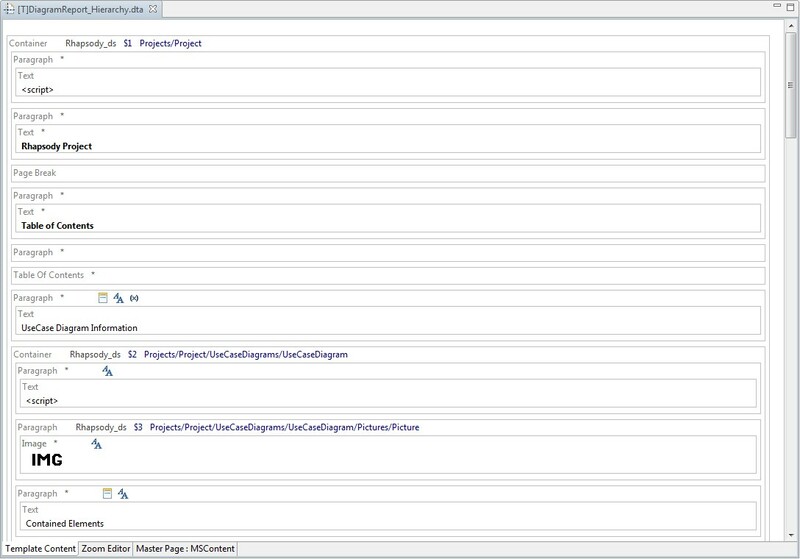 In the main step, the user selects the stylesheet, the input and the output file. 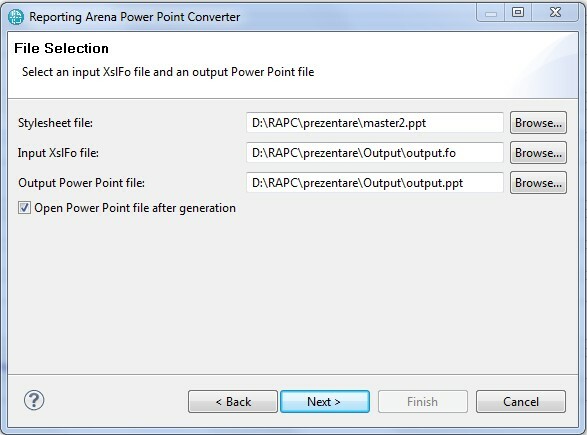 The “Open Power Point file after generation” check box is automatically selected. Consecutive text type elements are written in a single text box. The text box is closed before a block type element, like table, image etc., and before the end of the current slide. 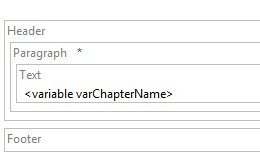 Paragraphs are written in separate text boxes. The user must keep in mind to limit the dimensions of the images within the edges of a slide. Due to their size, best practice is to have one table per slide. 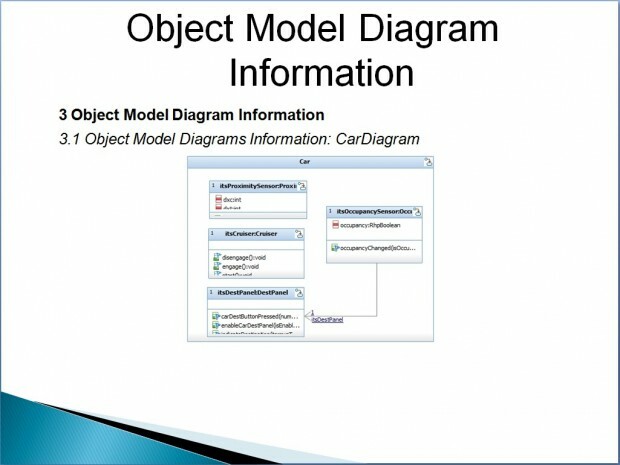 Tables are an easy manner of representing information in a comprehensive approach. Bullet or numbered, lists can highlight topics of interest, within a PPT presentation. 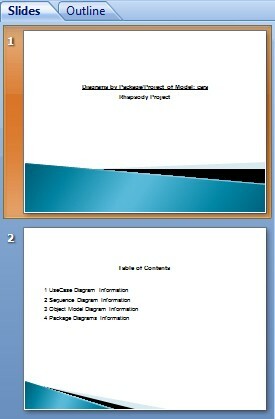 An RPE masterpage header, is transferred with PowerPoint Converter into the title type object for the PPT slide show. 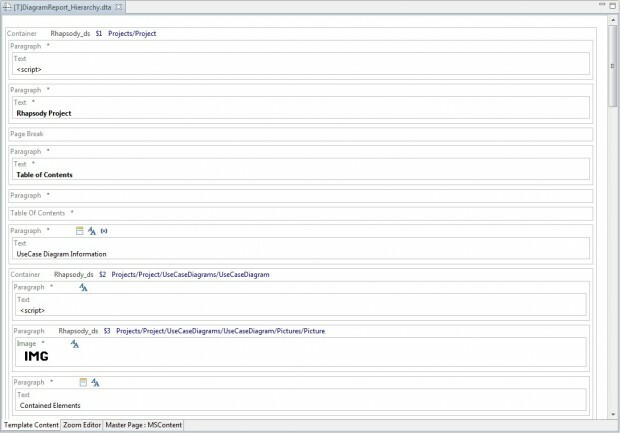 Inside RPE, header content is transferred from the template through a variable. 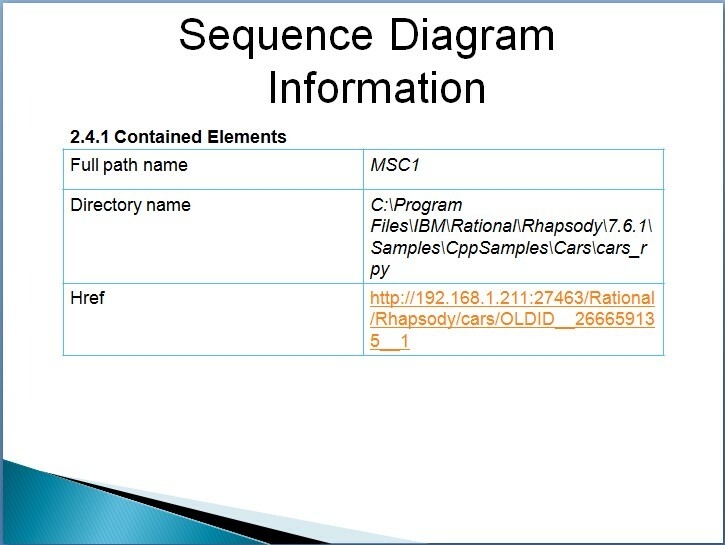 PowerPoint Converter supports most common formatting for RPE elements: font properties, border properties, alignment, spacing, image size adjustments etc. 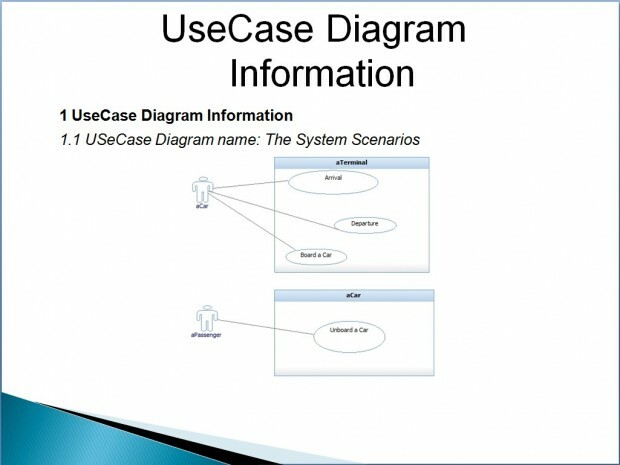 The user must keep in mind that space inside a PPT slide is limited, as the objects usually require large amounts of space for clearer visibility. 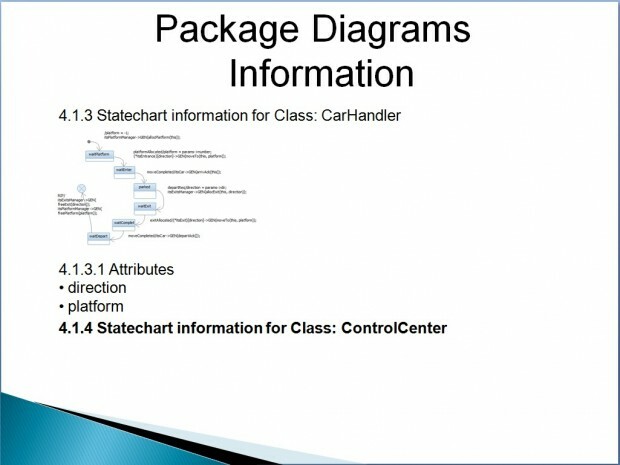 Colors, font weight, space delimitation, etc, can bring to front various elements or data that the user needs to point, during a PPT presentation. 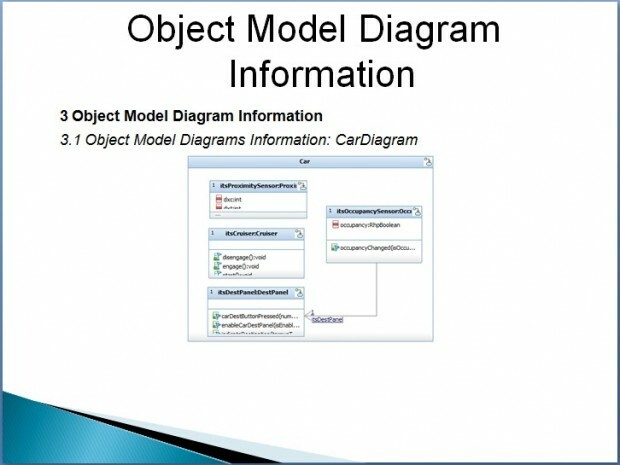 PowerPoint Converter handles the arrangement of the information within slides : the text boxes drawn a the end of a slide are moved or split to be continued on the next slide, if case. 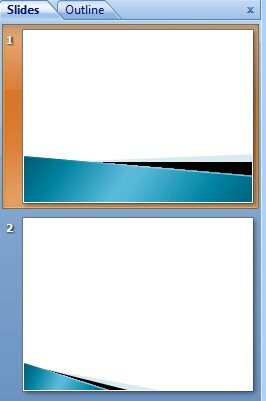 When using master slides, the user should take into consideration their layout, to avoid image or text overlaping. The contents of a slide can be re-arranged, by fine tuning inside the RPE template. Even if the XslFo file does not reflect a small modification as the user wishes, the PPT might do so, as it can be considered in this case, a re-scaled version of XslFo.